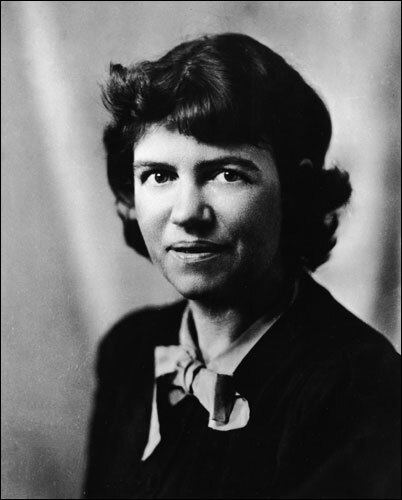 Our Awareness Controls Human Destiny In an essay from 1951 for the original This I Believe series, Margaret Mead says she can't separate the beliefs she has as a person from the beliefs she has as an anthropologist. She says that humans have a responsibility for the entire planet. An essay written in 1953 for the original This I Believe series. 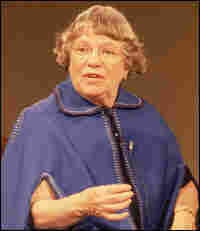 Anthropologist Margaret Mead spent many years in Polynesia studying native cultures. She was a curator at the American Museum of Natural History, professor at Columbia and president of the American Association for the Advancement of Science. 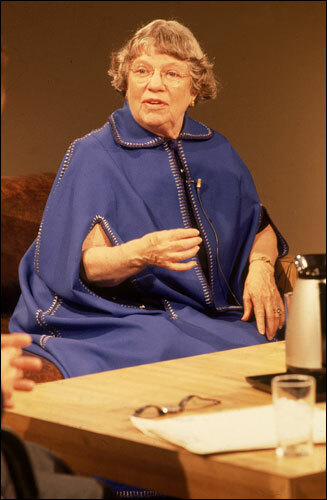 Mead pictured in 1977, one year before her death. Children used to play a game of pointing at someone, suddenly saying, "What are you?" Some people answered by saying, "I am a human being," or by nationality or by religion. When this question was put to me by a new generation of children, I answered, "an anthropologist." Anthropology is the study of whole ways of life to which one must be completely committed, all the time. So that when I speak of what I believe as a person, I cannot separate this from what I believe as an anthropologist. I believe that to understand human beings it is necessary to think of them as part of the whole living world. Our essential humanity depends not only on the complex biological structure which has been developed through the ages from very simple beginnings, but also upon the great social inventions which have been made by human beings, perpetuated by human beings, and in turn give human beings their stature as builders, thinkers, statesmen, artists, seers and prophets. I believe that each of these great inventions — language, the family, the use of tools, government, science, art and philosophy — has the quality of so combining the potentialities of every human temperament, that each can be learned and perpetuated by any group of human beings, regardless of race, and regardless of the type of civilization within which their progenitors lived; so that a newborn infant from the most primitive tribe in New Guinea is as intrinsically capable of graduation from Harvard or writing a sonnet or inventing a new form of radar as an infant born on Beacon Hill. 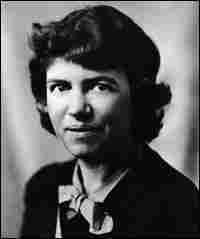 I believe that human nature is neither intrinsically good nor intrinsically evil, but individuals are born with different combinations of innate potentialities, and that it will depend upon how they are reared — to trust and love and experiment and create, or to fear and hate and conform — what kind of human beings they will become. I believe that we have not even begun to tap human potentialities, and that by continuing humble but persistent study of human behavior, we can learn consciously to create civilizations within which an increasing proportion of human beings will realize more of what they have it in them to be. I believe that human life is given meaning through the relationship which the individual's conscious goals have to the civilization, period and country within which one lives. At times, the task may be to fence a wilderness, to bridge a river or rear sons to perpetuate a young colony. Today, it means taking upon ourselves the task of creating one world in such a way that we both keep the future safe and leave the future free.